Helping out Members of Parliament with all the Governance tasks. Everyone talks about difficulty the Citizenry face, but not our MP’s. Going through some common problems they face and How we intend to help them through the Digital Desk. Don’t we think it is impossible to meet everyone once elected (think about the population within a constituency). Common complaint we here from Citizenry on How difficult it is to locate & meet the Member of Parliament for their constituency and so as Member of Legislative assemblies. For now our focus is MP’s – Lower & Upper house of the Parliament. Believe me, MP’s do want to connect Citizenry, but there is no easier way for them to handle such a mass Citizenry. Citizen’s often complaint of no work being done by their MP, although in reality MP’s suggests lot of work in their constituency out of their allocated fund, but doesn’t have a way to track the work nor to show it to the public. 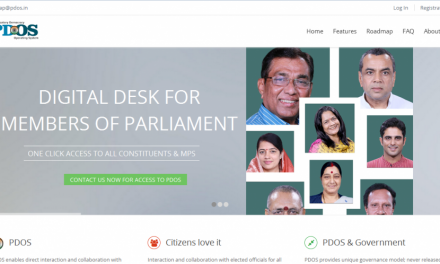 Citizenry on the other hand doesn’t have easier means to see MP’s work or his parliamentary participation – though many websites try to solve it today – but there no cohesive solution that does it all. Citizenry many times accuse MP’s & MLA’s of getting commissions from contracts – many times baseless allegations. On the contrarary, Citizen’s doesn’t have any system from where they can verify or audit the work of MP/MLA or councilors. Getting that information from the Government is also a painstaking process that few can bear. Members of Parliament doesn’t have a way to communicate photo gallery of work done via a common mechanism; where both, the citizenry and MP’s are part of. MP’s nor Citizen’s ever know which sectors were covered under the work requests by MP’s and when the work is completed or in-progress or halted due to unknown reasons. Getting that information even for MP’s is as difficult as Citizen – many MP’s complained of having difficulty working with the Nodal Districts – be it a District Collector or Municipal Commissioner. List goes-on-and-on – We don’t want to go there, focus on the positives – How we solved this problem? Well, by bringing Participatory Democracy Operating System also known as PDOS. 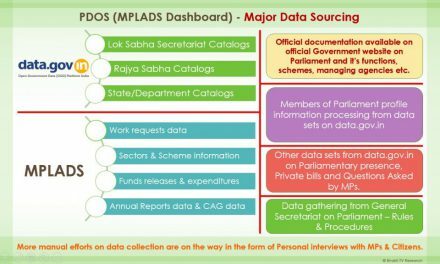 PDOS contains many modules or dashboards for MP/MLA/Municipal Councilors/Gram Panchayat/District Collector/Nodal Officers/Implementing Agencies/Ministry and PMO – provided ofcourse, if they support PDOS and becomes a Member like the rest of the Citizenry. We are working hard to make that a success and needs support from you all. 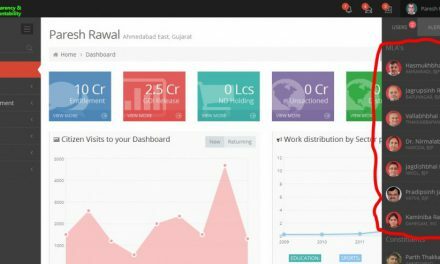 Let’s look at the below screen shot – taken from a Pilot testing website (http://pilot.pdos.in) – assuming that a Member of Parliament from Ahmedabad West (SC) Parliamentary constituency MP (Dr. Kirit Solanki) has logged in to our Dashboard. As you can see – Looking at the Citizen requests becomes piece of a cake – right on the first Dashboard. How about an MP want to convert the suggestion in to a Work Request, again so easy – Look at the picture closely to find “Convert Requests” – which looks exactly like the one below. By clicking the Convert button – MP’s can turn those in to Work Request, which then gets forwarded to Nodal District, we will see more about it in Work Request Workflow automation, YEP – Digital India – Shoulder to Shoulder. MP’s have the ability to Sort, Search or Download – everything is included for them to make it as easy as possible to manage. How does Citizen’s suggests to MP/MLA/Councilor? Let’s see one more image from the Pilot project. The option below is available to all Citizens across India (MP’s/MLA’s and other Governing officials excluded). We understand that there will be many millions of suggestions but it will give an idea of what Citizens want in their Constituency. Moreover, the feature is restricted to Citizen’s own constituency. Remember, Citizen has the ability to suggest work to Rajya Sabha MP’s, MLA’s & their own Councilors (To be included for future releases). Top part & the bottom part (Two images included here to provide a better understanding of the information available). Above feature provides an MP with direct feedback from Constituents. Any response to the suggestion directly reaches to the Citizen – closing the GAP on connecting MP’s to Citizens and vice-versa. What If a Citizen wants to send a direct message to an MP? Let’s look at the following Integrated Email type functionality that is included within PDOS. No external providers are required, everything works integrated within PDOS – for example: no gmail, yahoo or any other emails required, which are provided by external parties having operations outside the jurisdiction of Indian Government. It is important that we keep the messages floating between our Governing members and Citizens within the National fiber artery than the International one. As you can see – All roles within PDOS has the ability to Compose new messages, Save them as Drafts, See the Sent PDOSMessages or Trash those that are not required. Easy flow of messaging between MP’s and Citizen’s becomes a one stop shop for any type of communication to and from the Citizenry. Your Inbox is also as smart as with many email providers. We try harder and harder to match with the best email client functionality with future releases. Future releases include the ability to chat with one another, Send mass notifications to Constituents, Send invites for Physical meetings on issues, Audio & Video conferencing – everything under one hood called PDOS (Participatory Democracy Operating System). Yes, with the click of a Mouse or touch of a screen; be it a Desktop or a Laptop or a Phone with Android, iPhone or Windows. Seamless experience across all devices – no boundaries. We have only focused on connecting Citizenry to Governing Authorities – we will display more in the coming articles and Videos 🙂 yes, working on it, and they will be available on Youtube soon. Shocker: Few have asked a question, is this really an Operating System? Answer is Yes – Though the integration is scheduled in the last and final phase, don’t be surprised if the devices are manufactured in INDIA, with PDOS logos. Devices are being planned to play dual role for personal use as well as an Active Citizen use. Devices will be pre-configured to support PDOS modules. PDOS is conceptualized, designed and developed by a Private Independent Company.